Capgemini’s efforts to transform itself into a digital and cloud service provider appear to be paying off, with the global integrator flagging a 24 per cent year-on-year surge in its digital cloud revenues in 2017. The French multinational professional services and IT consulting giant, pulled in €4.9 billion (A$7.7 billion) from its digital and cloud services business last year, representing roughly 38 per cent of its total 2017 revenues. An indicator of just how rapidly its cloud and digital services business is growing, in the final quarter of 2017, the segment accounted for roughly 40 per cent of total revenues. According to Technology Business Research (TBR) senior analyst, Elitsa Bakalova, the latest figures offer glimpse of what Capgemini’s business will look like going forward. 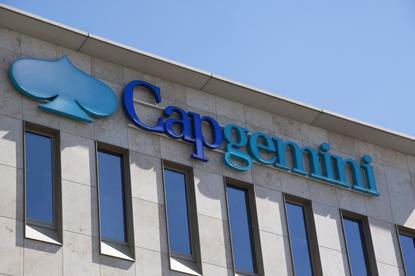 “Capgemini is successfully driving its transition to a digital and cloud service provider, indicated by sustained revenue growth year-to-year and a stable operating margin for the full year 2017,” Bakalova said. “Digital and cloud, which collectively accounted for 38 per cent of revenue in 2017, up from 30 per cent in 2016, will remain the future areas of expansion for Capgemini. According to Bakalova, accelerating uptake of Capgemini’s digital and cloud portfolios by existing clients through customer relationship-building and cross-selling will augment the company’s transformational engagements. In the coming year, the analyst said that TBR expects Capgemini to continue to experience intensified competitive and pricing pressures from established vendors in the region that are aggressively pursuing digital and cloud opportunities. At present, however, the company’s strategy seems to be paying dividends, with total revenue rising by two per cent for the year, to €12.8 billion, along with gains in operating margin, bookings and operating profit. “We won significant contracts to help our customers, as global strategic partners, attain their objectives in terms of both productivity -- leveraging our automation technologies -- and innovation,” Capgemini Group chairman and CEO, Paul Hermelin, said. “We enriched our offerings in these areas with several bolt-on acquisitions, particularly in e-commerce and digital design, including the acquisition of the digital customer engagement firm, LiquidHub, announced last week. “In 2018, we will continue to develop our service portfolio, while strengthening our sector expertise. With 200,000 employees, 57 per cent of whom are located in our global network of delivery centers, we will also continue to invest in our talent through sustained training,” he said.